Featuring 5.2 inches display, ColorOS 3.0, based on Android 6.0 and Qualcomm MSM8940 Octa-core processor. The lowest price of OPPO A57 is P6,800 at Taiyen General Merchandise, Ame Czarrief Cellphone Shop, Shanylle General Merchandise and Shopee, which is 50% less than the cost of A57 at Lazada (P13,490). The latest price of OPPO A57 was updated on Apr 16, 2019, 01:30. OPPO is very popular now because of their awesome camera phones in the global tech market. 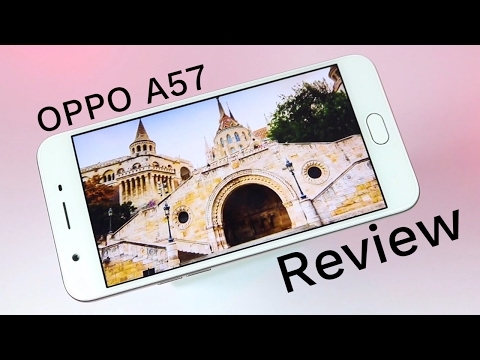 And because of this current trend, OPPO has once again launched OPPO A57 which the experts are telling that this gadget scores big on camera, performance, and style. As OPPO advertised their smartphones as selfie expert and their previous models come with a good selfie camera, they capitalized the selfie trend into the mid-rangers spectrum and launched the OPPO A57. 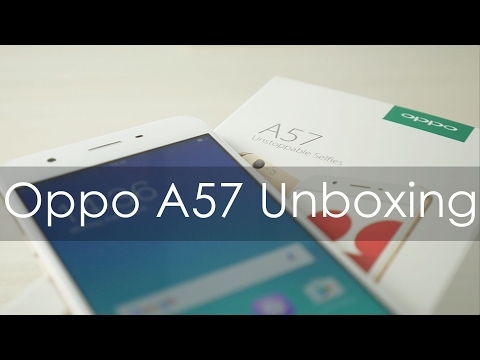 OPPO A57 is the successor to the OPPO A37. This model offers an upgraded processor, better RAM and more internal storage including a more recent version of Android. The design of OPPO A57 is very similar to OPPO F1s, It has a full metal unibody construction and plastic finished rear panel. It has a finger scanner on the front home button which gives the smartphone a premium feel and sophisticated look that is usually seen on high-end phones. The matte color of the plastic finishing shows simple yet stylish feel but it is prone to scratches. The phone also has a super quality construction that makes it comfortable to hold as it has a good grip. The OPPO A57 has 5.2 inch HD IPS 2.5D Arc Curved glass display with 1280 x 720-pixel resolution, ~282 ppi that allow great viewing angles and it also features a 2.5D Corning Gorilla Glass to add some protection against falls and scratches. It has built-in eye protection that can be used during nighttime. OPPO phones are known for its excellent selfies cameras. And it's actually one of their biggest selling points. The OPPO A57 boasts with 16 MP front camera for selfies similar to that of the F1s. It has an f 2.0 aperture lens that can record video at full-HD resolutions. It comes with a new Bokeh feature and added many other features to make way for different ways to express your selfie. OPPO A57 has a 13 MP on the rear side with accompanying LED Flash. It uses a Sony IMX258 sensor paired with large F2.2 aperture. It is bound to capture perfect photos with the help of Phase Detection Auto Focus (PDAF) that delivers an auto focus time of as little as 0.1 seconds and allow users to capture beautiful images. The OPPO A57 is LTE and have dual sim capabilities. But it still based on a more recent version of Android 6.0 Marshmallow along with the company's own ColorOS 3.0 to give the OPPO ecosystem which makes it neat looking and run smoothly. OPPO A57 is powered by Qualcomm Snapdragon 435 and has 1.4GHz octa-core 64-bit processor with 3GB of RAM which is really made for mid-range smartphones. The Soc also has Adreno 505 GPU, which can be enough to power its 5.2-inch 720 display. Because the handset has its own dedicated button to switch apps, powerful performance and seamless multitasking is not a problem. It comes with an internal storage of 32GB and which is expandable to 256GB via micro SD card that makes it perfect for saving your favorite tv shows and downloaded games as it has plenty of storage to stock up on the gadget. A non-removable 2,900mAh battery powers the OPPO A57 which can last a full day on a single charge. It doesn't support fast charging, so the battery does a take fair to fully charge. Protection of Gorilla Glass 3, Good Performance of FingerPrint Sensor, Sense the Fingerprint very Fast. The front camera has no flash. It has non-removable battery having 2900mAh and according to Display resolution, it's not sufficient. OPPO Electronics Corp. is a Chinese Electronics Company located in Dongguan, Guangdong. It was founded by Chen Mingyong in 2001 and has several regional divisions in the Asian continent that include several major Asian countries. It is a division of the multinational giant BBK Electronics. OPPO is known for its camera phone brand for young people. OPPO smartphones are very popular in the country. With the launched of OPPO A57 last June 13, 2017, for a price of P 11,990, It's really a fairly good option for selfie fanatics on a budget. Even there are lots of competitors and the competition for the smartphone market in the Philippines is growing strong, still, OPPO proves to be one of the most sought smartphones for Filipino people. That's why OPPO is now considered as the 2nd bestselling smartphone in the Philippines. Ano po ba mas okay sa dalawa? Pang gaming thanks.